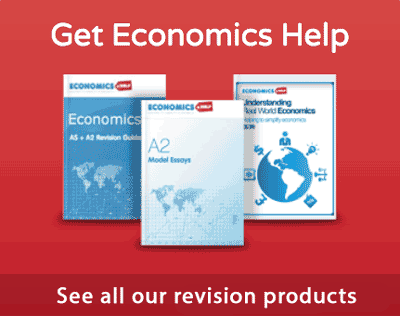 Home > Economics help blog > economics > To what extent did EU recession cause UK recession? 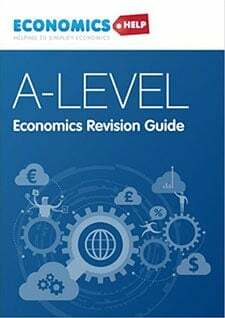 To what extent did EU recession cause UK recession? Readers Question: to what extent did the EU recession cause the UK recession? 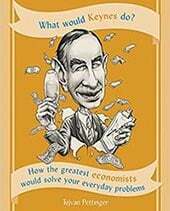 In economics often several factors occur at the same time, and it is difficult to give a weighting to the importance of each factor. To some extent, people will emphasise the factors which best suits their outlook / beliefs. It is no surprise that the government prefer to blame the double dip UK recession on ‘unavoidable weakness in the European economy’. It is similarly no surprise the opposition blame the government’s austerity approach adopted in 2010. Lower export demand. With Europe entering recession, they will buy less goods and services, including less demand for UK exports. UK exports to Europe account for around 13% of GDP and so it is reasonably significant. Lower export demand to Europe can have a knock on effect to other related industries, and a possible negative multiplier effect – causing a bigger final fall in real GDP. Reduced confidence. Europe sliding into recession will harm business and consumer confidence. With our main trading partner struggling, firms are less likely to invest in increasing capacity. Also the financial instability in Europe is making banks more nervous and reluctant to lend. Lower inward investment. A recession in Europe will create a disincentive for European firms to invest in the UK leading to lower growth. But, how important a factor is the European recession? 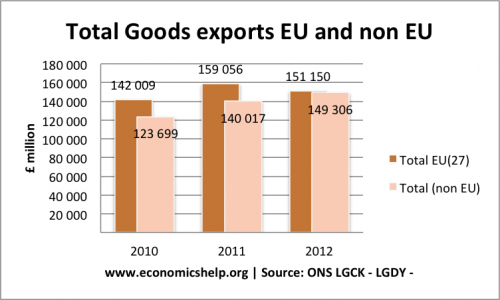 UK exports to the EU increased between 2009 and 2012 by 6.5%. Exports to non-EU countries increased at a faster rate. 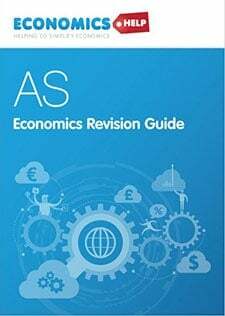 During this period, the UK current account deficit increased – because demand for imports increased at a faster rate, and if Europe had not gone into recession, we may have seen a bigger increase in exports. But, overall this still suggests that falling exports to Europe were not the main cause of the recession. If we concentrate on just trade in goods, there was a fall in exports during 2012, which undoubtedly contributed to the depth of recession in 2012. 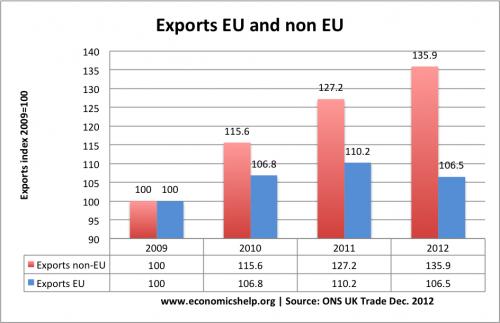 (though it was offset by growth in exports to non-EU. But, in 2011, we actually have a surge in exports to the EU (27) The slowdown in 2011 must have been due to other factors and occurred – despite rising exports to the EU. Exports account for just under 19% of GDP. Exports to Europe account for 55-60% of EU trade (though this share is falling). Exports to Europe account for approximately 13% of UK GDP. This is significant, but less important than government spending (40% of GDP) and household consumption 60% of GDP. 3. UK dipped first. The UK entered a double dip recession slightly before the EU. 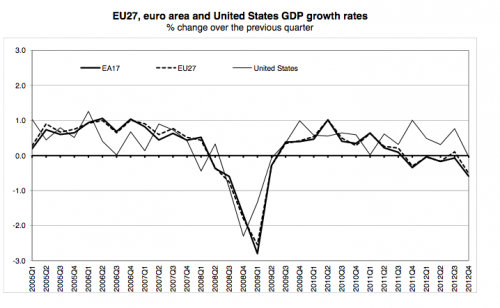 In 2010, EU (27) growth was 2.1% and in 2011 EU(27) growth was 1.5%. 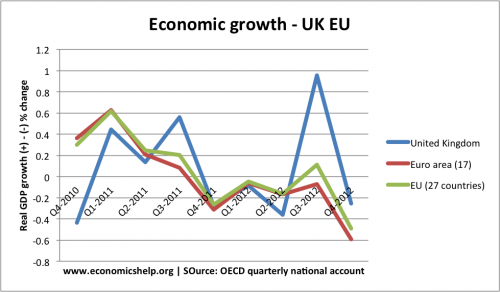 The UK experienced a large drop in Q4 2010 before Europe went into recession. If it wasn’t Europe wasn’t to blame who was? 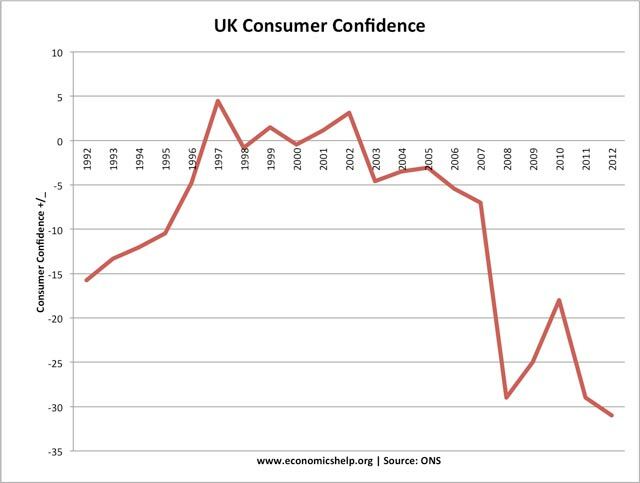 What happened in 2010 to cause the fall in confidence? 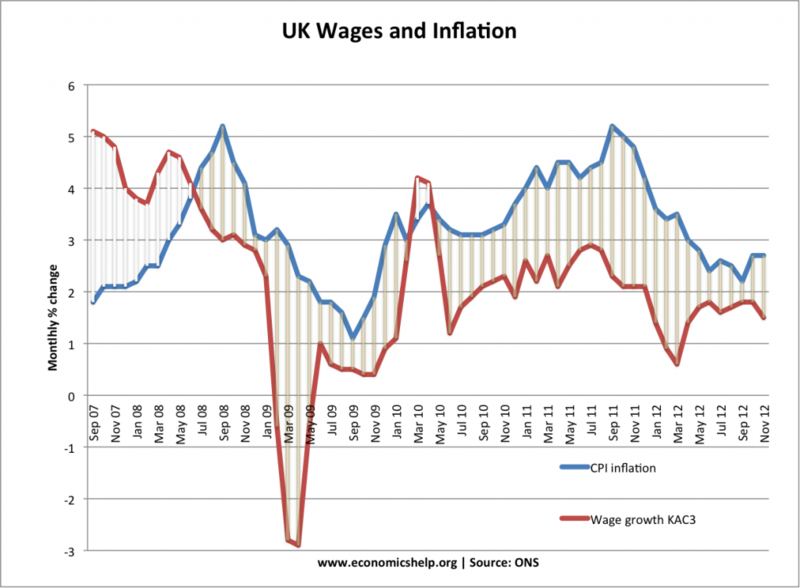 cost push inflation and weak wage growth. We cannot ‘blame’ any one factor. The UK economy faces many issues which have caused a lower rate of economic growth. The downturn in Europe is definitely one factor that is making it more difficult to recover, and explains why – despite unprecedented monetary easing, recovery is so sluggish. However, I wouldn’t say Europe is the major explanation for the initial recession or the double dip recession of 2010-13. I would say stagnant wage growth combined with a rapid rise in savings ratio has led to very weak consumer spending. Combined with modest government spending cuts, very weak bank lending and weak industrial production, we have seen a double dip recession. Confidence was an important factor, and here it is difficult to attribute blame. Personally I feel that the government’s ‘austerity drive’ was a very important for weakening expectations. Though others may say the Eurocrisis was more important than talk of austerity. 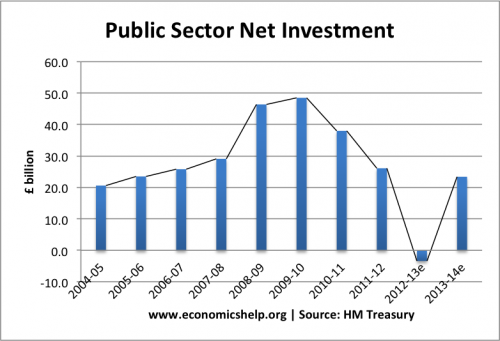 One final note: there is nothing the government can really do about the Eurocrisis or the European recession – but, they could have done something about public sector investment. They didn’t have to cut spending and pursue austerity. Europe is out of our hands, domestic spending isn’t. 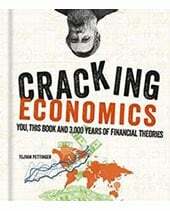 Who is to blame for 2011/12 recession? How much has spending been cut?